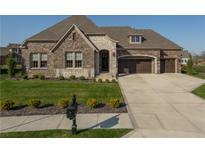 Find Carmel, IN Homes for sale. View Photos, Maps and MLS Data Now! Over 4,200 sq ft. + Basement. Come see for yourself. MLS#21633829. Berkshire Hathaway Home. All this AND you are close to shopping, restaurants, schools and more! MLS#21635206. Keller Williams Indpls Metro N.
The Woodlands - The neighborhood offers a wonderful clubhouse and a large swimming pool perfect for a hot summer day. MLS#21632676. F.C. Tucker Company. Daylight lower level with wet bar, wine cellar, large recreation room, family room plus 4th Bedroom with full Bath. MLS#21635162. ERA Real Estate Links. Village Of WestClay - Walk out basement with fully equipped theater, exercise room, Recreation room, wet bar w/dw, guest bedrooms with attached baths and more. MLS#21633391. CENTURY 21 Scheetz. Williams Creek - The clubhouse including fitness center and 3 pools is just a short walk away. MLS#21634950. Berkshire Hathaway Home. Williams Mill - Enjoy Your Private Patio And Great Corner Lot. MLS#21635231. Batts Real Estate Group. Village Of WestClay - 2017-new roof, air conditioner, sump pump and back up system. MLS#21632338. Keller Williams Indy Metro NE. Finished 3 car side load garage. Community pool! MLS#21631977. Carpenter, REALTORS®. Village Of WestClay - Lot of potential to add equity. MLS#21634834. Venture Realty Services. Woodgate - Don't miss this lovely home! MLS#21634857. Front Porch Real Estate, LLC. Cool Creek Estates - Pool available for yearly membership just down the street. MLS#21635235. F.C. Tucker Company. Wilson Village - The updates and location can't be beat! MLS#21632632. Keller Williams Indpls Metro N.
Spectacular 42x21 GUNITE Pool, Hot Tub, Firepit & Huge Back Terrace! MLS#21633524. Keller Williams Indy Metro W.
Soaring ceilings in front room and great room. Over $100k in recent updates. MLS#21633659. 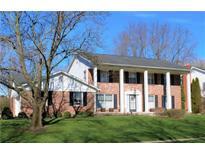 Keller Williams Indpls Metro N.
Close proximity to top rated Carmel schools, shopping, restaurants and interstate access. MLS#21634859. Berkshire Hathaway Home. Bridgewater Club - Relax during the evening in front of the fireplace on the cozy patio. This is a must see! MLS#21633575. eXp Realty, LLC. Extra storage room in garage. Walking distance to shopping! MLS#21635071. Keller Williams Indy Metro NE. Basketball goal, patio w/shaded pergola. Come see today! MLS#21633294. Keller Williams Indy Metro NE. Brookshire - All of this in a great neighborhood and just minutes from all your desired amenities! Do not miss out! ! MLS#21632847. F.C. Tucker Company. Ashmore Trace - New tankless water heater, new garage door with keyless entry, Newer roof, newer HVAC, Terrific neighborhood -this won't last! MLS#21633280. F.C. Tucker Company. Lake Forest - It is rare to find a lot like this at any price in Carmel! Turn key, family ready. MLS#21633507. F.C. Tucker Company. Up Has 2 bedrooms Each W/walk-in Clst & Full Bath, Addl Bath & large Bonus room, Spacious L/L Has family room, Recreation room, Guest bedroom, Full Bath, Workshop Area & Abundant Storage W/Access To 4+car Garage! MLS#21633400. F.C. Tucker Company. Overbrook Farms - Deck w/ a great sized yard & 3 car garage make this home a must see. MLS#21633544. RE/MAX Ability Plus.